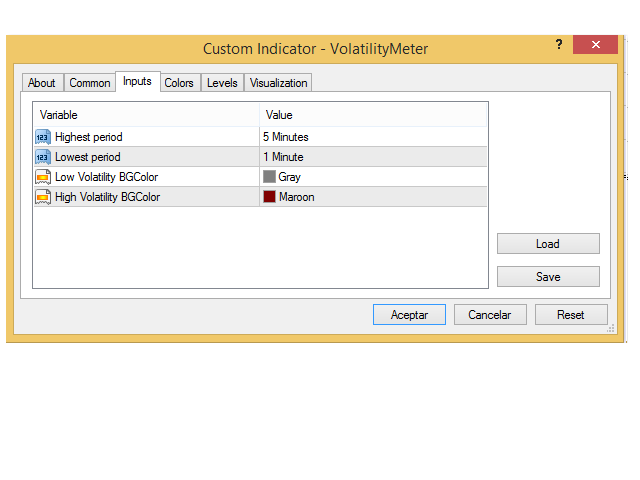 The indicator calculates two levels of volatility in different time frames and changes the background color of the chart when those levels exceed 50%(Average Volatility). 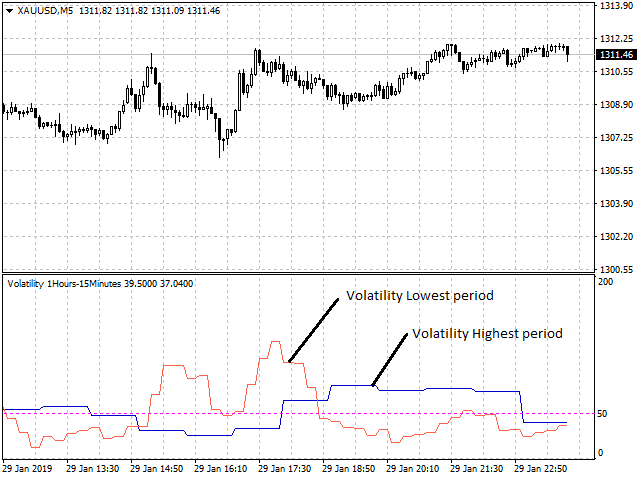 Volatility levels are calculated by comparing the ranges of variation of current prices with the average movement. 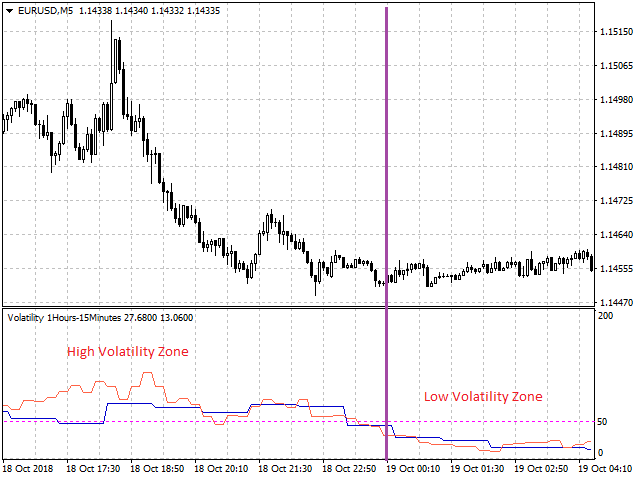 Note: It is recommended to use two periods of time longer than the time frame in which you are, for example for 5M use 15M and 1H and make trades when those levels of volatility are greater than 50%.